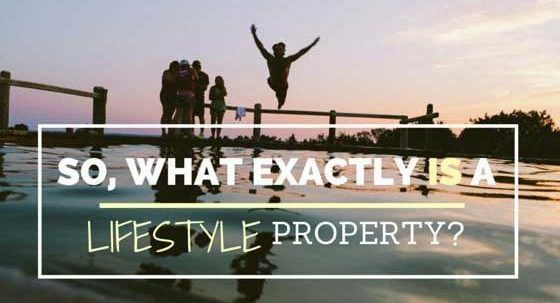 So, what exactly is a Lifestyle Property? So, What Exactly is a ‘Lifestyle Property’? At Michigan Lifestyle Properties, a ‘lifestyle property’ is one that has one or more specific features or characteristics that support how the owners choose to live their lives or use the property. A Waterfront Property is on water. These properties include those on lakes and rivers. A Lake Property is on a lake, and supports lifestyles that include activities like sailing, water skiing, jet skiing, fishing, kayaking, etc. Oh, and ‘hammocking’, as in taking a good summertime nap in the shade, while reclined in a hammock! And a Riverfront Property is on a river, which is often desirable for fishing enthusiasts. For us, properties that have ponds or streams don’t fit our definition of ‘waterfront’. Horse Properties are those on 5 acres or more, that have outbuildings like horse stalls, riding arenas, or pens, to accommodate owners who have or want horses. These properties are different from those that could accommodate horses, but don’t currently have structures for horses. We would consider those “Country” properties. A Log Home often covers a range of construction, and could include full-log construction, log siding, and sometimes timber frame construction, even though that’s different. Log homes are a dream property for many people, who have a variety of desires, like living closer to nature, or the feeling of simpler times. Land & Acreage is pretty self-explanatory, but comes in a variety of types. Hunting Land is large enough, and has characteristics that make it ideal for hunting a variety of wildlife. Sometimes, Hunting Land is also called Recreational Property, which covers activities beyond hunting, such as riding horses, ATVs, hiking, etc. Then there’s Development Land, which has characteristics, such as location, zoning, or infrastructure that make it a good candidate to be developed for residential or commercial purposes. The common denominator of what we call Land is that it’s unimproved, meaning it doesn’t have have any buildings on it. Country Homes cover a fairly wide range of properties. On our site, this category includes homes on 10 acres or more, which are commonly served by water wells and septic systems. Though this is a broad category, it fits for buyers who want to live in an area where there’s open space, and they don’t feel too close to their neighbors, where they can hear the birds sing by day, and the crickets at night. We work with a lot of folks who are moving from the city, who can’t wait to get out to the country. Premier Properties is an even broader range of properties. On our site, it’s any property with a price of $750,000 or more. We know that pricing isn’t everything, and that many buyers come from areas where that minimum price barely covers a bungalow, but it’s a place to start. For buyers looking for a special property with a higher price tag, searching the Premier Properties category is usually a good place to start. Keep in mind too that Premier Properties can include Lake, Horse and other Properties that have that $750,000+ list price. Golf and Ski Properties are easy to define from a lifestyle standpoint — they’re for people who want easy access to golfing and skiing. However, they’re not easy to categorize on our website. We do our best to make sure that Golf Properties are either on or within walking distance to a golf course, or include a club membership, and that Ski properties are either ski-in/ski-out properties, or within walking distance to ski slopes. Sometimes, sellers like to say that they have a golf or ski property because it’s within driving distance of a golf course or ski slopes, but that definition covers the majority of real estate in Michigan. On our site, Historic Properties include any built before 1925. We know that the year is debatable. Some people would go back to 1900, while others would include Mid-Century Modern homes in the ‘historic’ category. We chose 1925 as the cut off, but also offer a few additional searches on our site. The Bed & Breakfast category is a tricky one too. Some B&Bs are classified as ‘commercial’ properties, while some that are classified as ‘residential’ can also accommodate use a B&B. On our site, we try to include both categories, simply because we know that buyers of B&Bs are likely to want to see their full range of options. Another important criterion we use is 5 bedrooms or more. So, there you have it — our take on the definitions of a variety of ‘lifestyle properties’. Lastly, you should also know that we occasionally review our definitions and criteria. More than anything, we want to be consistent with the thinking of the the majority of buyers and sellers of ‘lifestyle properties’, because they’re who we serve. If you have another definition, or other ideas, for any of these ‘lifestyle’ property categories, we’d love to hear from you!